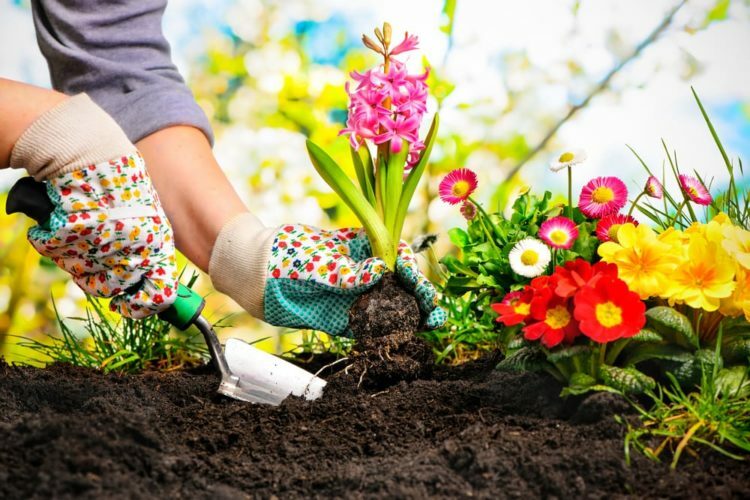 If you love having a garden, but struggle to find time or energy for all the planning, digging, tilling, weeding, and regular maintenance through the growing season- you may find yourself neglecting the experience altogether. I honestly wish I had heard of this lasagna method of gardening years ago as it probably would have made me look at how I planned my garden much differently. Being a busy mom and teacher often has me neglecting to check on my garden until the weekend- after which I am always amazing at how quickly weeds are able to take over. This guide helps explain this incredibly easy garden planning option that completely removes some of the most strenuous work- making it ideal for anyone who struggles to find the time, or who is simply unable to handle the physical aspect of it from year to year. Why Should I Consider This Method? To provide you a definition of this method I have to start with, no, it is not a way to grow the ingredients for your own homemade lasagna recipe. I had to put that in there because I honestly wondered if that is what it was referring to when I first heard the term. In my search to explain this method, I quickly discovered that it is named appropriately- and is an excellent way to incorporate rich, sustainable organic ingredients to your gardening basics all while cutting back on the amount of work required to keep it healthy and growing. Another, popular name for this technique is ‘sheet composting’. 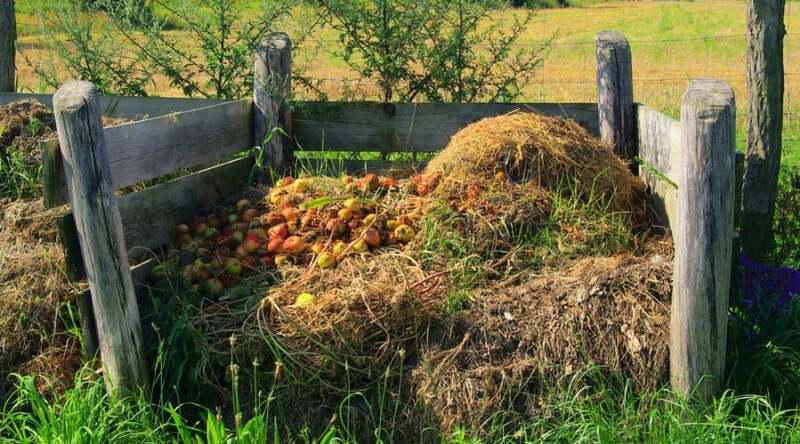 Traditional composting has you tossing everything into a bin or holding of some sort, and then mixing and turning to speed up the decomposition rate. It doesn’t take a lot of time but does require some regular attention. Plus, once your compost has cooked, you need to move it to where you need it. Sheet composting happens right where it is already required to feed your plants, and requires minimal effort to maintain. When you apply this technique, you are basically layering organic materials upon organic materials, stomping down weeds, and leaving just enough room for your plants to grow- all while choking out any weeds that try to make a comeback. You can actually begin this process with layered organics, almost like a compost lasagna, rather than dig and till up the soil prior to planting. As each layer breaks down it helps feed the surrounding plants, chokes out weeds, and makes it easier for you to continue the processing season after season. First off, this is easy. It is incredibly easy to spread your organic layers, create garden rows with more durable layers- like cardboard, and define borders of your gardens in the process. It also helps you recycle materials you may have otherwise tossed, reducing the amount of trash you put out, plus it generates nutrients for plants to save on fertilizer. This completely saves on the time you spend creating a garden as no digging or tilling is required. It also saves on garden maintenance in the long run as well. You can create narrow garden beds that leave just enough room for your plants all while choking out and covering over nuisance weeds. With time, you will have less and fewer weeds as well. This is an awesome method to try if you want a garden plot, but struggle with the time it may take to maintain. 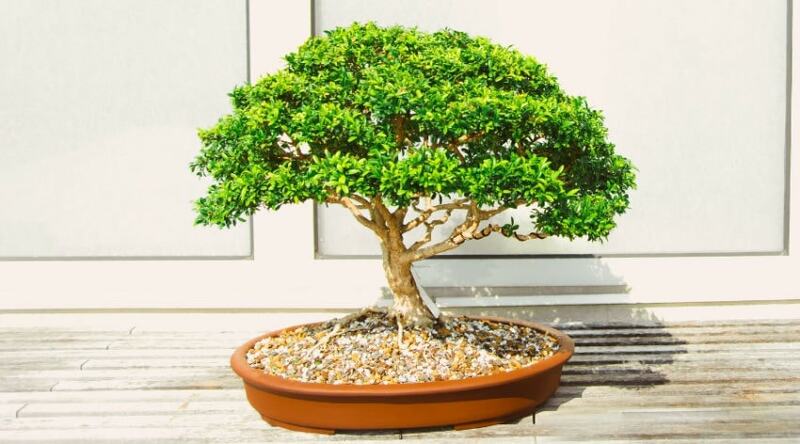 It also works wonderfully for anyone who struggles with the physical aspect of a garden since not as much body stress is required over a long period of time. Lasagna gardening step by step tips is simple to follow and require very little effort to get started or continue. You can create one in raised beds, small spaces, or even just flat on the ground. Some people have even had success on abandoned pavement lots! On a smaller scale, you can try this same technique in potting containers, especially if you do not have any land and are looking to garden on a patio or balcony. It also can be started at any time of the year, although if you begin in the fall in anticipation of spring planting, you can take advantage of your fall leaves to begin as a first layer. With additional layers, this can break down through the winter months to provide a rich substrate to begin planting in as the weather warms. You don’t need leaves to begin, however, but autumn often has an abundance of organics to get started with. 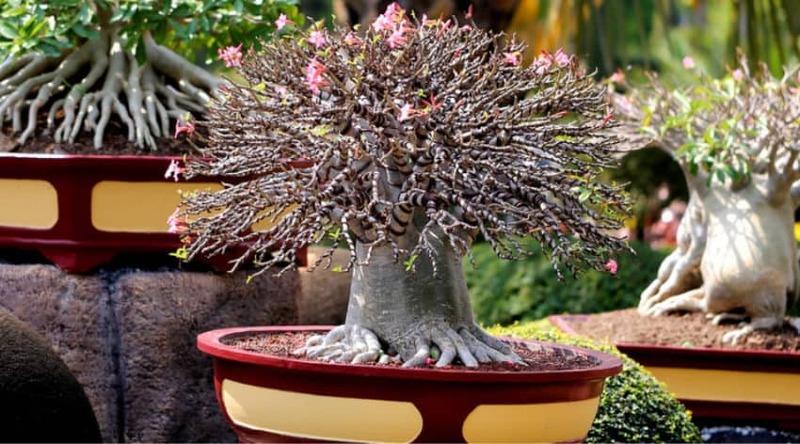 If you wait until spring or summer, you may need to layer in and finish off the top with some ‘soil-like’ materials to help get your plants well established until the rest of the materials break down further through the season. Think ‘compost’; whatever you might toss into a compost bin is exactly what you can use for lasagna garden layers. Layer ‘brown’ organics with ‘green’ organics and start with an approximate 2 feet of stacking. With time this will break down and soften the soils beneath and allow you to continue layering. This breaking down and settling will happen surprisingly quickly, but many people like to provide a border of some sorts to help keep their layers intact. This is not a requirement however, but even a temporary board or inexpensive border fence can help define your boundaries when you first get started. Starting with layers of paper or cardboard brown compost materials are very popular, although not required. This helps suppress any vegetation under the layers you are creating and allows for good initial moisture retention for the layers you place above it. Dead, fallen leaves can be shredded or left as is. The smaller the material, the faster it will decompose. Hay or straw are also great options as they break down more slowly and provide a continual source of nutrients. Paper and cardboard, such as newspapers, old mail, cardboard boxes can be shredded, or layered as is to help suffocate weeds. 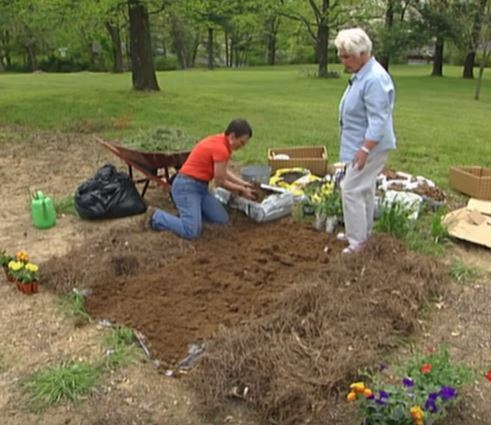 Use unshredded pieces for walkways between rows and to define garden beds. Eggshells and tea bags from the kitchen are a great way to recycle your waste. Sawdust and wood chips can be mixed into greens as they are slow to break down. Wood ashes from a fire provide great calcium and potassium but can be alkaline so use sparingly. Pine needles are also an awesome addition as they create an ashy, rich loam as they decompose. Vegetable or fruit peelings, seeds, cores, or other waste from your cooking. No cooked materials are better, but cooked discards (as long as they do not have any oils on them) are good as well. 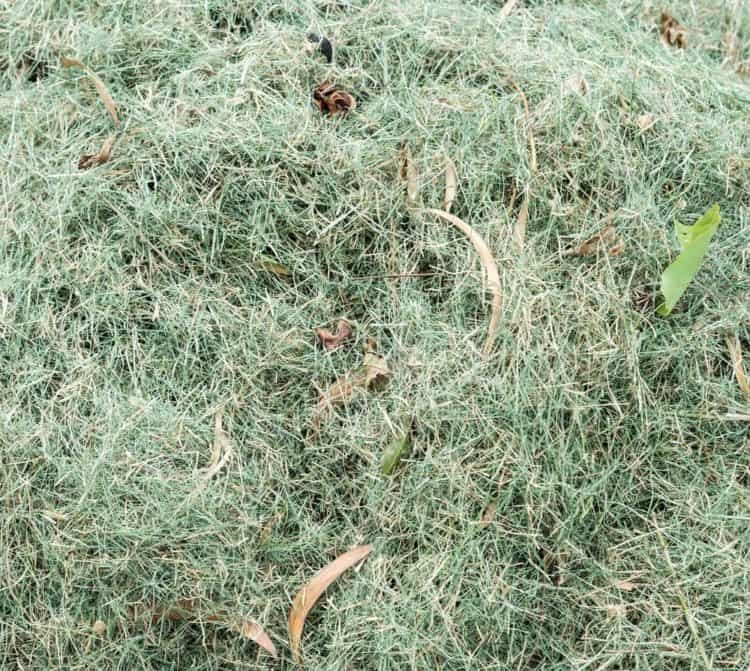 Grass clippings from mowing your yard are very fresh and contain a lot of moisture for quick decomposition. Chicken, goat, horse, cow, sheep, and rabbit manure is also an awesome addition. Even if you do not have your own animals if you know anyone who does you may be able to get some to add to this process. Coffee grounds and coffee ground filters are high in nitrogen. You may be able to get ground from local coffee shops as well! Plant cuttings or trimmings that are still green and supply are also great layering additions. You can leave as is for a slower decomposition, or shred for a quicker release. When it’s time to plant, you do so just like you would in any other garden bed. Most materials will be soft enough to dig a hole with your trowel for planting bulbs or to set your plants. If you have used layers of cardboard- you may need to cut a bit into them depending on the time frame of their placement, but that is likely the most effort you will have to put forth. Once your plants are established, you can care for your plot just like you would any other. You can strategically continue to layer to help suppress weeds and continue feeding your design, and even lay cardboard between rows for easier access through the plot. 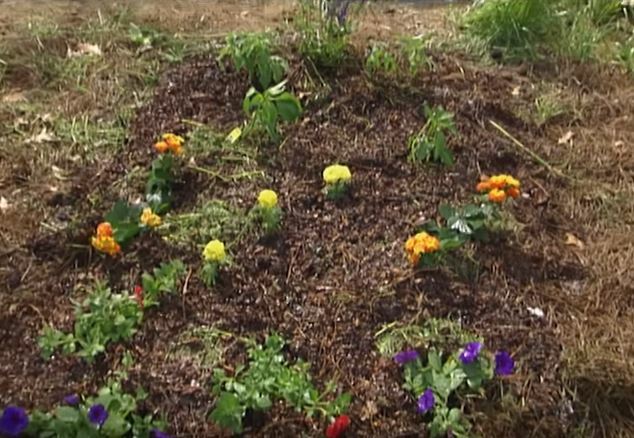 If you mulch the top after planting it can help keep the soils moist, help keep certain bugs away, and keep weeds from sprouting. Straw, bark mulch, and chopped leaves are favorites for this purpose and work well as a good brown layer for the next season. To recap- lasagna gardening is much less time consuming overall than more traditional gardening methods. Plus it adds a hefty list of nutrient benefits to your plants and advantages to the growing process overall. Little to no need for fertilizer, basically because you just planted your garden IN a pile of what natural fertilizers are made of. Don’t be afraid to amend this somewhat if you feel your plants are in need of food- especially during the first growing season as your beds become established. Afterward, this becomes almost completely self-sustaining. Soils that become loamy, crumbly, and easy to work with as they break down. This helps keep moisture where it is needed, and supplies nutrients more readily to plant root systems. Much better water retention overall all while providing good drainage without washing out nutrients. A drastic reduction of weeds from one year to the next as the layers suppress their seed germination and growth. Excellent for small spaces! You can apply this to raised beds, flat surfaces, containers… basically anywhere you want to create a garden! The layering technique supplies all you need without any major planning taking place. Awesome for poor soil areas as native soil does not have to be considered, plus no amending of soil need to occur. If you have raised the question in the past about how to make a lasagna gardening, you’ve hopefully had your questions answered. This is a process that is much simpler than digging and building beds and amending soils and is the perfect answer for those looking for a lower impact process. 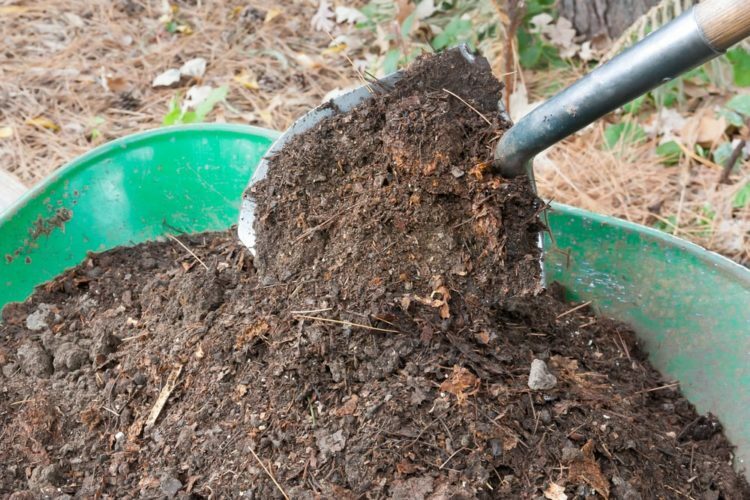 Layering your composting materials, letting it sit and settle, planting into it, and then continuing the process through the growing season can help minimize weeds and maximize harvest. For a great visual and more information, check out this helpful infographic on lasagna gardening right here. And If you have any questions or comments, please let us know below and, as always, please share!